Illinois State Police closed the inbound lanes of the Eisenhower Expressway for a shooting investigation Sunday morning. 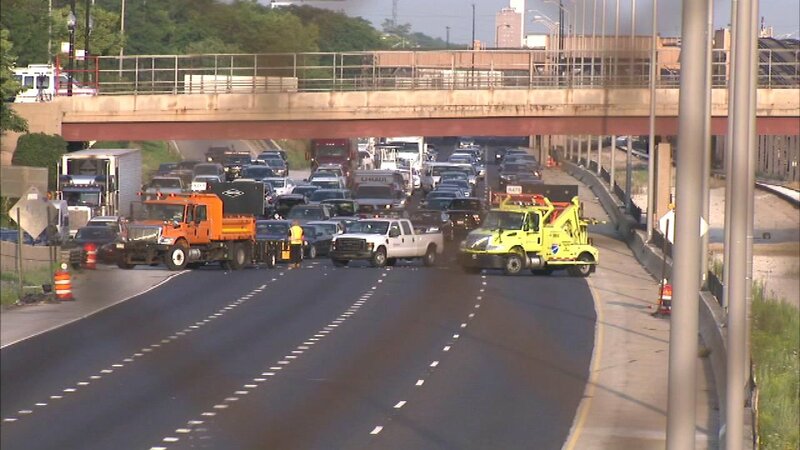 CHICAGO (WLS) -- Illinois State Police investigated a shooting on the Eisenhower Expressway Sunday morning. Police said they received a report of shots fired around 2:45 a.m. on the Eisenhower at Racine Avenue on Chicago's Near West Side. Police found shell casings, but there are no reports of any injuries. The inbound lanes of I-290 were closed as police investigated, re-opening shortly before 7:30 a.m.